The media coverage of the terrorist atrocities of Friday November 13 in Paris would seem to promote an almost mythical image of the Islamic State (ISIS). What humanity needs, however, is to demystify ISIS as a criminal organization. And that need is particularly important in my community – the Muslim community. The vast majority of Muslims almost certainly (we do not have exact figures) feel moral revulsion and outrage about the violence perpetrated by ISIS. Indeed, Egypt’s top Sunni cleric, to name just one example, was quick to denounce the perpetrators of Friday’s “hideous and hateful” attacks. However, the truth of the matter is that ISIS leaders and supporters can and do draw on a wealth of scriptural and historical sources to justify their actions. Traditional interpretations of Sharia, or Islamic law, approved aggressive jihad to propagate Islam. They permitted the killing of captive enemy men. They allowed jihadis to enslave enemy women and children, as ISIS did with the Yazidi women in Syria. I am a Muslim scholar of Sharia. It is my contention that ISIS' claim of Islamic legitimacy can be countered only by a viable alternative interpretation of Islamic law. The key to understanding the role of Islam in politics is that there is no one authoritative entity that can establish or change Sharia doctrine for Muslims on any subject. There is no equivalent of the Vatican and papal infallibility. How Sharia is interpreted by the many different communities of Muslims (from Sunni and Shia to Sufi and Salafi) is, at base, the product of an intergenerational consensus of the scholars and leaders of each community. Islamic belief and practice is fundamentally individual and voluntary in its nature. A Muslim cannot be accountable for the views and actions of others. One positive consequence of this absence of any one religious authority is the fact that it is possible to contest and reinterpret Sharia principles. On the negative side, however, any Muslim can make any claim about Sharia if he or she can persuade a critical mass of Muslims to accept it. 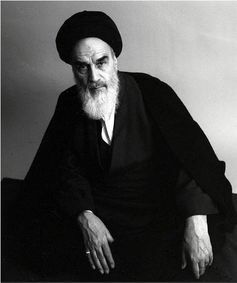 One example of this is how Ayatollah Ruhollah Khomeini used the doctrine of “wilayat al-faqih” (or guardianship of the jurist) to claim the authority to launch the Islamic Republic of Iran in 1979. This was controversial because in doing so, he went against the consensus that authority for such a decision resided in the person of the 12th and last “living” Shia Imam, who disappeared (but did not die) in 874 and, it is believed, will reappear at the end of time as al-Mahdi. A more recent example is the creation of ISIS by Abu Bakr al-Baghdadi and his self-appointment as Caliph or successor of the Prophet Muhammed, divinely charged with resurrecting a state that ended 1,400 years ago. For the first 300 years of its existence, Islamic thought can be characterized as dynamic and creative, with differing interpretations of the scriptures being discussed and debated among communities and generations. Ijtihad, or independent juridical reasoning, was explicitly endorsed by the Prophet Muhammed. Some modern Muslims, like the Sisters in Islam organization in Malaysia, are exercising ijtihad today to promote the human rights of women from an Islamic perspective. To those, then, who accept the Sisters' interpretation, women are accorded equal rights according to Sharia. But the Sisters and others like them are in a minority. By the 10th century, a highly sophisticated body of Sharia principles, methodologies and schools of thought had taken shape and put down roots among Muslim communities across the ancient world, from West Africa to Southeast Asia. This phenomenon came to be known as “closing the Gate of Ijtihad,” to indicate that there is no theological space for new creative juridical thinking. There was, of course, no “Gate of Ijtihad” to be closed, and nobody had the authority to close the gate even if one had existed. The metaphor, however, highlighted the contrast between the cultivation of diversity in the first three centuries of Sharia and the stalemate and rigidity of the study of Islamic law since then. The “silver lining” of ISIS is that it is forcing Muslims to confront the consequences of archaic interpretations of aggressive jihad. The Prophet Muhammad was born and raised in Mecca, a town in western Arabia, where he proclaimed Islam in AD 610. 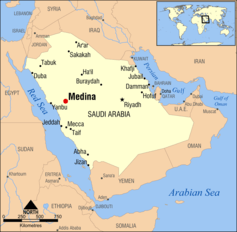 In AD 622 he had to move with a small group of his early followers to Medina, another town in Western Arabia, in order to escape persecution and threats to his life. This migration not only affected where the revelations were made to the prophet – a fact that is noted in the Quran. 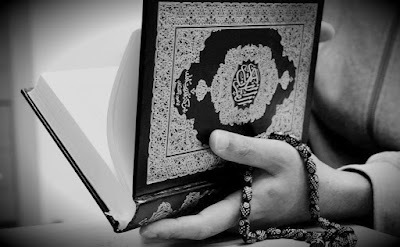 It also marked a shift in the content of the Quran. ISIS' harsh and regressive interpretation of Sharia draws on the Quran of Medina, which repeatedly instructed Muslims to support each other and to separate themselves from non-Muslims. For example, in verse 3:28 (and 4:144, 8:72-73, 9:23, 71 and 60:1M), Muslims are prohibited from taking unbelievers (pagan or polytheist) as friends and supporters. Instead, they are instructed to look to other Muslims for friendship and support. The whole of Chapter 9 – which is among the last revelations – categorically sanctions and authorizes aggressive jihad against all non-Muslims, including People of the Book or Christians and Jews (verse 9:29). Yes, the term jihad is used in the Quran to mean nonviolent efforts to propagate Islam (see verses 29:8, 31:15 and 47:31). But that does not change the fact that the same term was also used to mean aggressive war to propagate Islam. This latter interpretation was, in fact, sanctioned by the actions and explicit instructions of the prophet himself, and by his most senior followers, who subsequently became his first four successors and the rulers or Caliphs of Medina. A related difficulty in this whole discussion is that according to Sharia, jihad can only be launched by a legitimate state authority. ISIS claims to have Islamic legitimacy, but what is the basis of that secretive claim? Who nominated them, and why and how should the Caliph of ISIS have authority over the global Muslim community? Since this authority is based on an entirely open and free process of individual choice, ISIS’ claim may succeed to the extent it is supported by a critical mass of Muslims. The danger is that passive acquiescence can be used by ISIS leaders as evidence of positive support. After all, only a handful of Muslim majority states – and then only under Western leadership – have shown willingness to resist the military expansion of ISIS. Meanwhile, the masses of Muslims and their community leaders are not – tellingly – turning to Sharia to justify their opposition to ISIS claims. Many Muslims have condemned ISIS for moral or political reasons, but this, likely, is discredited among ISIS supporters as “Western” reasoning. What then is needed is an alternative view of Sharia, one that argues that the scriptural sources that ISIS relies on must be seen in their wider historical context. These principles, in other words, may have been relevant and applicable 1,400 years ago, when war – wherever it was being waged in the world – was much more harsh than it is now. Exclusive Muslim solidarity (wala’) then was essential for the survival of the community and success of their mission. But today, the opposite is true. Modern international law as stated in Article 2 of the Charter of the United Nations of 1945 (a universally binding treaty) affirms equal sovereignty of all states regardless of religious belief, and prohibits the acquisition of territory through aggressive war. While these principles have been violated by the major powers – recent examples include the US/UK invasion of Iraq in 2003 and the Russian invasion of the Ukraine in 2014 – it is impossible for any state, including those with a Muslim majority, to accept being forced into a self-proclaimed Islamic state, as ISIS claims to have an Islamic mandate to do. 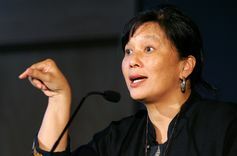 But for an alternative view of Sharia to emerge and take root through modern consensus, Muslims must first acknowledge and confront the problem of having acquiesced to a traditional interpretation of Sharia and ignored alternatives that would condemn ISIS as un-Islamic. One place to start is with the writing of the Sudanese religious thinker Ustadh Mahmoud Mohamed Taha, who proposed repudiating the specific principles of Sharia authorizing aggressive jihad, slavery and subordination of women and non-Muslims by relying on the earlier revelations from Mecca. For example, verse 16:125 says: “Propagate the path of your Lord in wisdom and peaceable advice, and argue with them in a kind manner” (see also verses 17:70,49:13 and 88:21-22). As Taha explained in his book The Second Message of Islam, the Sharia principles based on the Medina revelations came about in response to the historical conditions of seventh-century Arabia. Taha argued that today it is the earlier message of Islam based on the Mecca revelations that is applicable because humanity is ready to live up to those standards. Despite – or perhaps because of – the desperate need for alternatives to traditional Sharia interpretations, Taha was executed for apostasy in Sudan in 1985, and his books in Arabic continue to be banned in most Arab countries. And ISIS continues to recruit. The self-proclaimed Islamic State can survive only by fighting a permanent war. It is my contention that it will either implode or collapse in a total civil war because it has no viable political system for peaceful administration or transfer of power. But whenever it collapses and for whatever cause, the world can only expect a new ISIS to emerge every time one disappears until we Muslims are able to discuss openly the deadlock in reforming Sharia.